The Hollow body guitar is one of the most beautiful designs of guitar out there. It is also one of the most versatile. Combining the best qualities of the acoustic and electric worlds, it takes true manufacturing mastery to produce a hollow body guitar to stand the test of time. Which is why there are not many guitar manufacturers that I trust to make my hollow bodies. In the spirit of finding out what the standard should be, let us take a look at the D’Angelico EXL-102, and see what makes it a great hollow body guitar. The body of the guitar is designed in the vintage D’Angelico style. The design emphasizes the beautiful archtop of the instrument, with a handsome and attractive design. The body of the guitar is comfortable to play and rather light, and is a whole lot of fun because of its vintage design. The sunburst color design of the guitar adds a little bit more of a vintage feel, as well as a whole lot of class to the look of the instrument. The guitar comes with a laminated spruce top. The laminate on such semi acoustic instruments does not flatten the tone too much, as the main source of the tone comes from the pickups. The tone of the guitar is rather bright thanks to the spruce top. The back and sides of the guitar are made out of laminated mahogany. 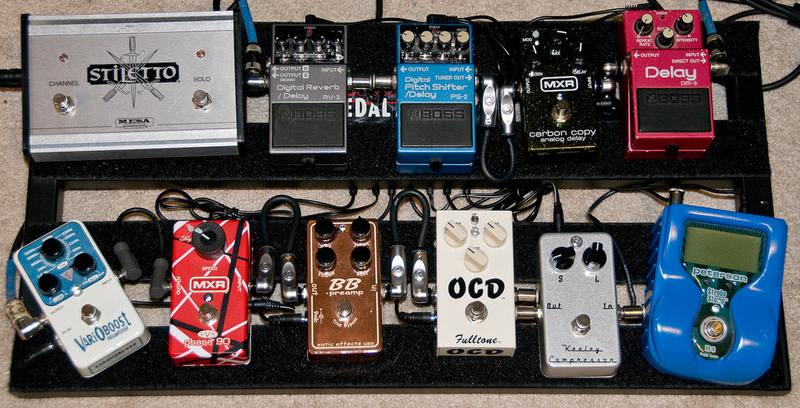 This adds a little more depth and warmth to the tone of the guitar. The sturdiness of the guitar is also highly appreciated, since the guitar can withstand most damage without a problem. The neck of the guitar is made out of maple. This is one of those qualities in guitars that seems to be the same across all types of guitars. This is not a bad thing, on the contrary, quite a good thing. It provides the guitar with a great sturdiness and a long lifespan. Something all musicians can appreciate. The neck of the guitar is set through the body of the guitar, which provides a great level of stability and sturdiness. The fretboard of the guitar is made of ebony, which is a very handsome and smooth surface. The guitar comes with a typical D’Angelico signature tailpiece. This allows the guitar to be very versatile in sound, have some great action for the strings and a nice string stability. The guitar has a bone nut, which provides a great level of harmony to the strings, as well as a clean and buzzless sound. The tuning machine of the guitar is designed in the vintage style as well. It has some great tuning stability, so you won’t have to worry about being out of tune much. The guitar comes with a floating mini humbucker installed. This means that the height of the humbucker is adjustable, so that you can control the level of output your humbucker has while you play it. The humbucker itself is very decent and produces a great, powerful sound with a beautiful, jazzy feel to it. The sound of the guitar is exceptionally pleasant. The hollow body of the guitar provides warm resonance and interesting, thick sound that jazz and blues players alike will greatly appreciate. The humbucker provides a clean and clear, warm biased sound that is definitely enjoyable. The bright high tones are the result of the spruce top and are definitely loved and appreciated by all. The guitar is one of the best hollow bodies you can get your hands on, currently. Its vintage design and versatile sound. Highly recommended, if you don’t mind the higher price. 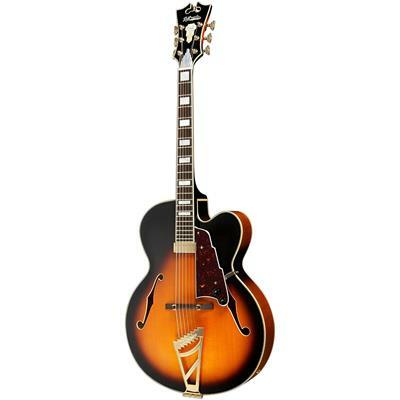 Click here to find out more about D’Angelico EXL102. Click here to view more from Best Hollow Body Electric Guitar.